A content management system, or CMS, enables you to modify, update and delete content on your website. If you want to launch a new landing page, publish an up-to-minute blog post or make users aware of your latest offers, you’ll need a CMS you can rely on. making changes via code can be time-consuming, particularly if you don’t have extensive development experience. While you could refer proposed site changes to your developer, this can slow things down and add to your costs. Waiting for your developer to make the required changes means your users could miss out on what you have to offer. Breaking the latest industry gossip or capitalising on breaking news is extremely difficult if you’re relying on an external third-party to update your website. What’s more – requiring your developer to make small changes to your site can increase your costs significantly. Rather than pay someone to modify and update your site, why not do it yourself with Siteglide? 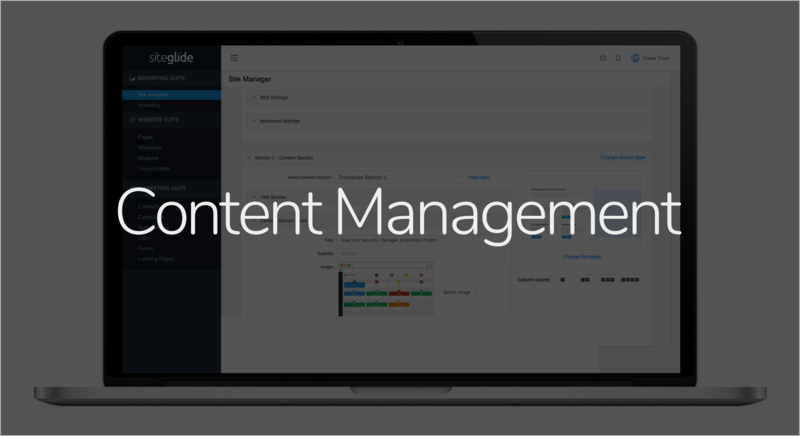 As a state-of-the-art CMS, Siteglide allows you to manage your website in any way you want to. Whether you’re launching a multi-vendor marketplace, a business site or an online presence for a local organisation, Siteglide will enable you to manage it effectively. With a user-friendly interface, Siteglide can be used by anyone. Rather than attempting to modify the backbone of your site, Siteglide ensures you can make changes easily, without changing or deleting any crucial code. 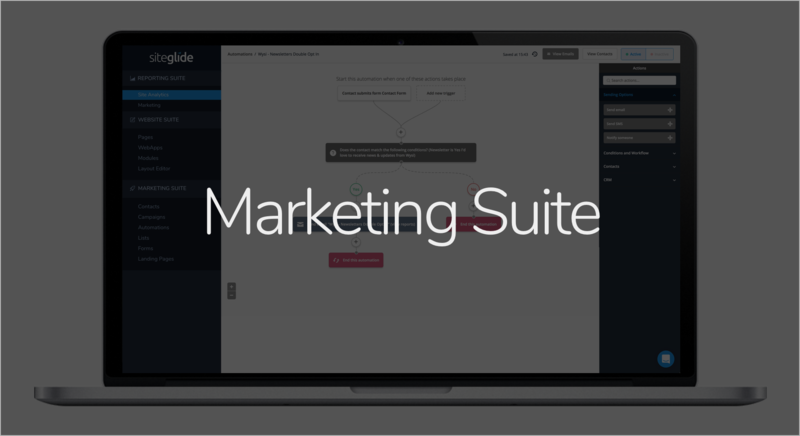 As well as facilitating collaborative forums and websites, Siteglide provides a simple way to manage your marketing activity. With SEO, email marketing and PPC all having an impact on the success of your site, you’ll want to keep track of what’s working and what isn’t. Unless you’ve got a wealth of web development experiences, building a website from scratch used to be an impossible task. With Siteglide, however, you can manage your online presence without any knowledge of coding and without the need for any complicated HTML editors. Our Visual Editor allows you to edit a webpage while viewing the content. You can add content or images without any technical expertise, and you can view the site as you’re making changes so you’ll always know what’s happening. With all your data in one place, it’s easy to keep track of what’s happening when you use Siteglide to manage your website. Custom dashboards can be used to create marketing reports, so you can monitor your on-going marketing activity and see what’s working with just a glance at your screen. Although Siteglide makes it easy to monitor the success of campaigns, it also offers a simple way to launch new campaigns. With your user data all stored in the CRM system, you can send targeted emails to segmented user lists at the touch of button. Managing one website used to be a tricky business, but managing multiple sites used to be impossible, unless you had extensive technical skills. For agencies, Siteglide revolutionises website management. Enabling non-technical staff to modify multiple sites quickly and easily ensures an efficient workforce and reduces the need for costly external contractors. Find out how Siteglide can work for you. 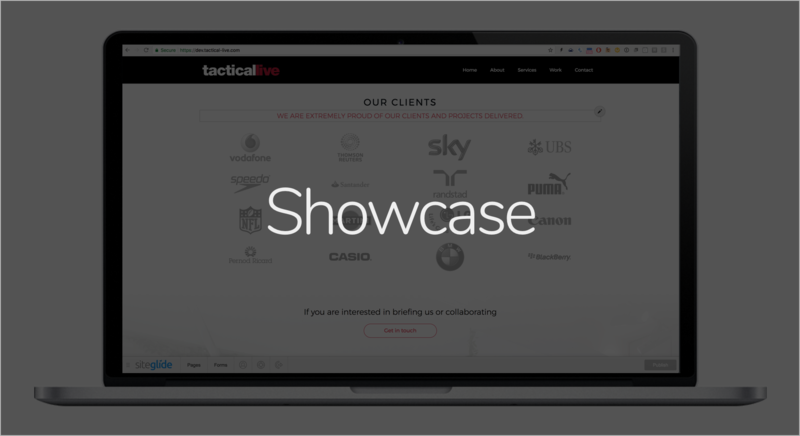 Contact us and arrange a demo today.